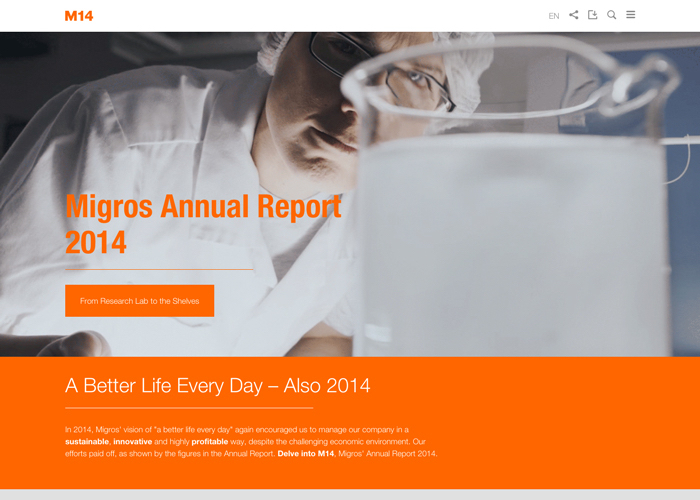 This is the annual report 2014 of Migros, the largest retail company in Switzerland. A full responsive experience created by Namics 13. Check it out!